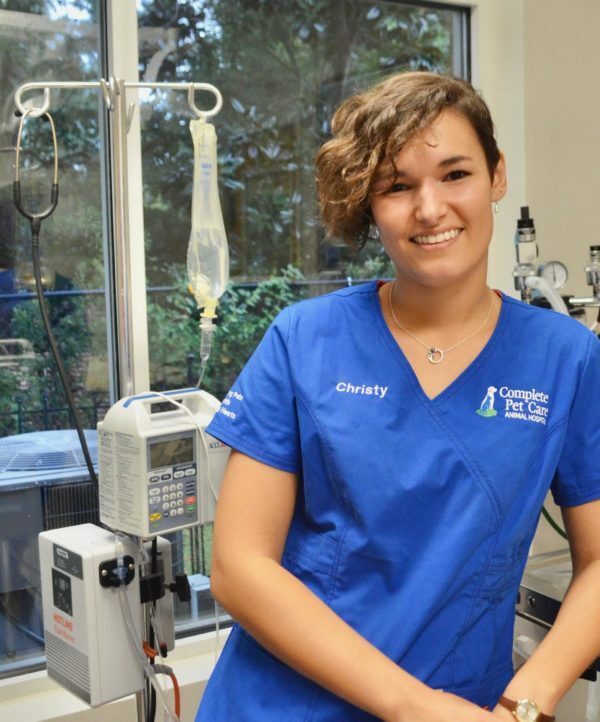 Christy started at Complete Pet Care at Falls Pointe in July 2017 and has loved every moment since. She has always had a passion for helping animals and hopes to someday work in wildlife rehabilitation, ideally with primates. Through college Christy volunteered with Duke Lemur Center and studied wildlife management and conservation at a program in Tanzania, East Africa. After graduating from UNC-Chapel Hill with a degree in biology, Christy took time to travel and volunteer at an elephant sanctuary in Thailand. Christy hopes to use her passion for travel and growing knowledge in animal welfare to advocate for animal rights on a local and global scale. Christy grew up near Asheville, NC and loves to go back home to go camping, kayaking, snowboarding, and visit her family and dog Bear. Christy moved to Raleigh after graduation with her roommates and their little “Pom-chi Princess” Olive. Christy is so excited to be a part of the Complete Pet Care team and to help clients and their beloved pets however she can.